Have you ever looked closely at the ingredients in your makeup? Many of the products we use may make us look good, but what effect are they having on our skin? A look at six makeup ingredients that can do more harm than good. Parabens An estimated 75 to 90 percent of cosmetics contain parabens, used as a preservative in makeup. Studies have found that one of the parabens, methylparaben, applied on the skin reacts with the sun’s UVB rays, the chief cause of skin reddening and sunburn, leading to increased skin aging and DNA damage. Watch for parabens in foundation. FD&C (shorthand for the Federal Food, Drug, and Cosmetic Act) Colors. Mostly found in lipsticks, the colors have been known to cause severe allergic reactions. Allergic reactions can cause swelling, bumps and blisters, and itching and burning, on the lips. Propylene glycol A type of alcohol used in skin conditioners, such as toners and moisturizers, the ingredient can cause skin irritations, such as dermatitis, eczema, as well as hives. Formaldehyde Found in countless makeup products and sometimes listed as Urea and DMDM Hydantoin, the ingredients release formaldehyde (used to preserve corpses) and causes skin and eye irritation, not to mention that its been linked to chronic fatigue, chest pains, allergies, joint pain, headaches, ear infections, insomnia, dizziness, depression and cancer. Triethanolamine (TEA) Added to many make-ups to adjust the pH and sometimes as a fragrant ingredient, TEA can cause blistering of skin, itching, burning, scaling and hives. It can be toxic if used over a long period of time. 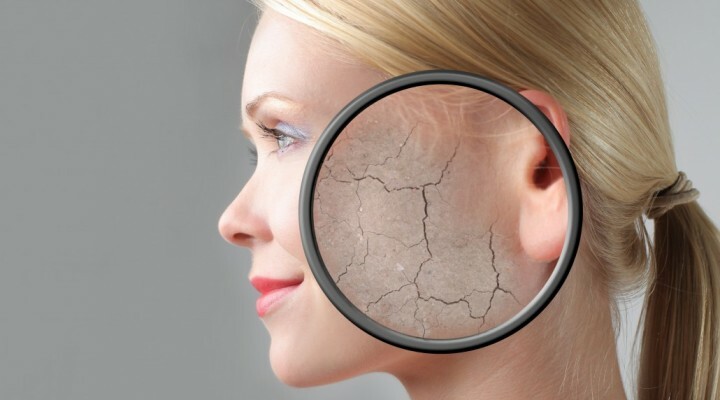 Mineral Oil The petroleum by-product might sound like it would be fine for skin, but it clogs pores and creates a barrier so the skin can’t naturally eliminate toxins. This ends up slowing down skin function and can lead to premature aging. Some mineral oils are contaminated with carcinogens, which are associated with cancer when absorbed into the skin after continuous use. This entry was posted in Skin Care and tagged damage, ingredients, skin. Bookmark the permalink.